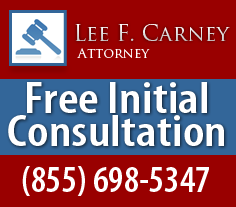 Receive the legal representation you deserve from the law office of Lee F. Carney Attorney at Law. Where they focus on traffic law, we represent clients involved in citations, drivers license issues, DUI, and criminal traffic violations. Lee F. Carney understands the importance of the privilege to drive in Florida. If you have any question about the status of your Florida driver's license, this site will link you directly to the Florida Dept. of Highway Safety and Motor Vehicles. You can check your license status here. The navigation links to your left provide information regarding common citations issued in Florida. This information is given as a guide; your case depends on the facts and circumstances of your citation. You may be able to access the status of your citation, depending on the county where it was issued. To See Results, Testimonials, and Endorsements, Click Here.